Inheriting the features of the first-generation POVCAM plus the operating ease of a touch panel. LAN connection enables zooming and real-time video monitoring with a PC or tablet. 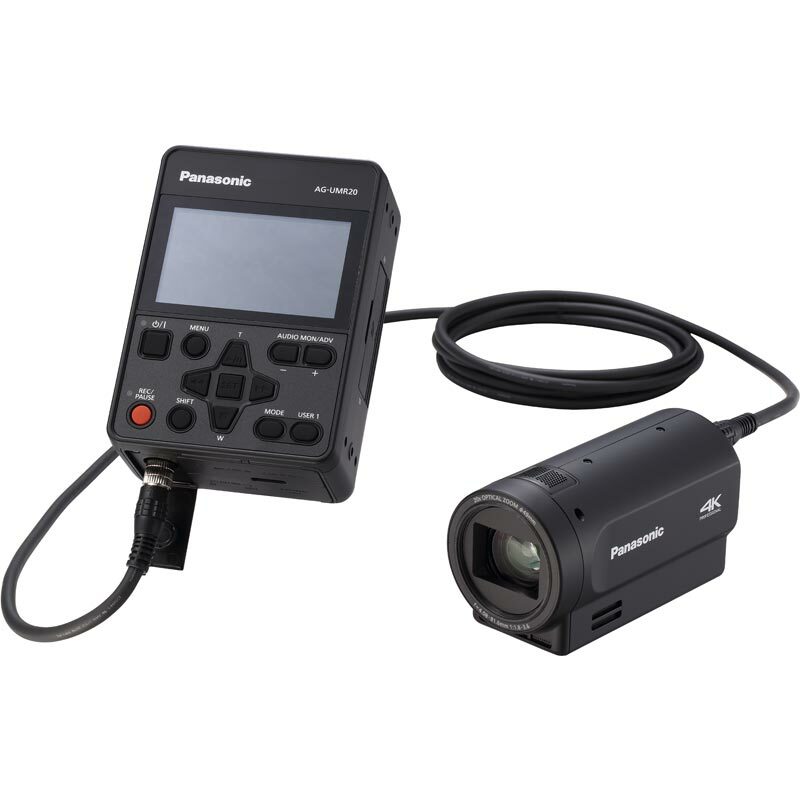 Extended recording capability with large-capacity SDXC Memory Cards and Relay Recording. Featuring a high-resolution, progressive MOS sensor and 29.5mm (35 mm equivalent) wide-angle optical 20x zoom lens. *: 4K acquisition is possible only when connected to the AG-UCK20GJ Compact Camera Head. 4K refers to UHD (3840 × 2160) resolution. The maximum resolution in 4K shooting mode via HDMI/SDI output is FHD (1920 × 1080) 59.94i/50i.